Using state-of-the-art laser exposure systems, WhiteWall creates your photo print with clear contours and powerful colours. Mounting the photo under 2 mm of acrylic glass enhances these characteristics and adds a clear sense of depth to your picture. WhiteWall produces photo prints on brand-name paper using modern laser exposure techniques and a traditional developing process. Rich colour reproduction and guaranteed non-fade for many years. The protective backing of the Acrylic Photo Print is 3 mm thick aluminium Dibond, which consists of two thin, platinum-white sheets of aluminium sandwiched around a black polyethylene core. The three-layered construction gives this light material long-lasting stability and prevents light from shining through, making it ideal for pictures of all sizes. We produce your acrylic photo in the size you want. Select the perfect size from our standard formats, which range from mini to extra-large. We also offer three options for the shape of the corners. For a custom format made to your exact specifications, please switch to the Original Photo Print Under Acrylic Glass. 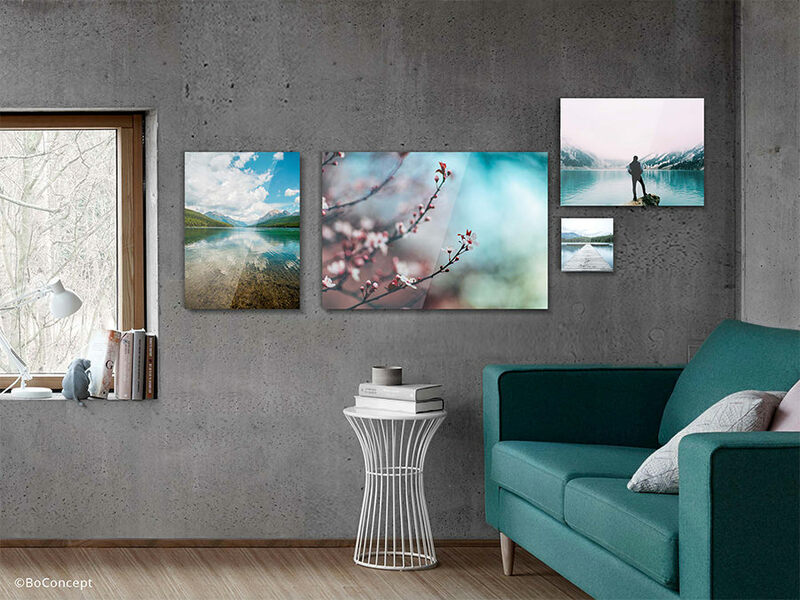 Wall art from WhiteWall standardly arrives with a wall-mount attached on the reverse. Our system is guaranteed to be easy to use; your picture can be securely hung right away. The type of wall-mount depends on the selected format. 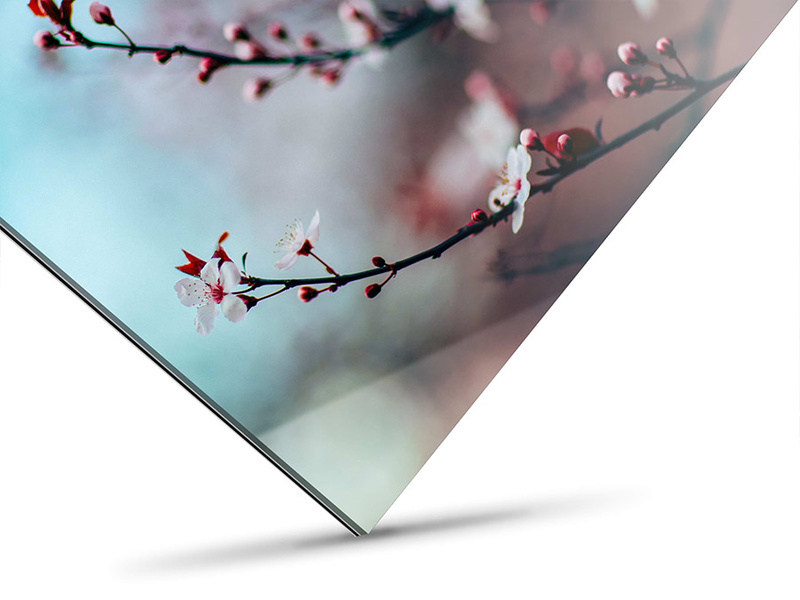 Even at 2mm thick, glossy acrylic glass brings out the best in your pictures and provides a clear view of the precise contours and deep-looking picture. 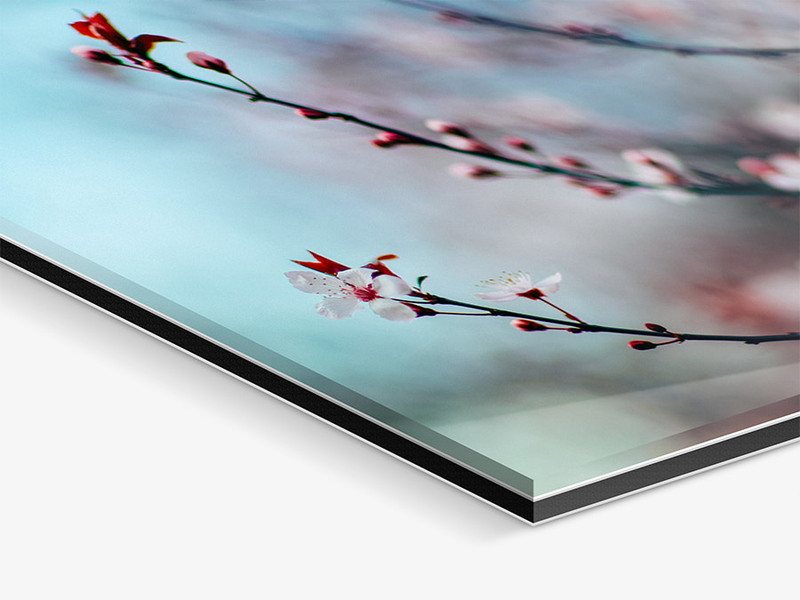 A crystal-clear view of your photo print is the lower-priced but still high-end mounting alternative to our Original Photo Print Under Acrylic Glass. At the same time, you still get top quality results: WhiteWall guarantees rich colours, fine details, and clear contrasts on high-end brand-name paper. We are always striving to set new standards through state-of-the-art technology and meticulous craftsmanship, but this is not the only factor that makes us a market leader. We also take our customers’ requests seriously. 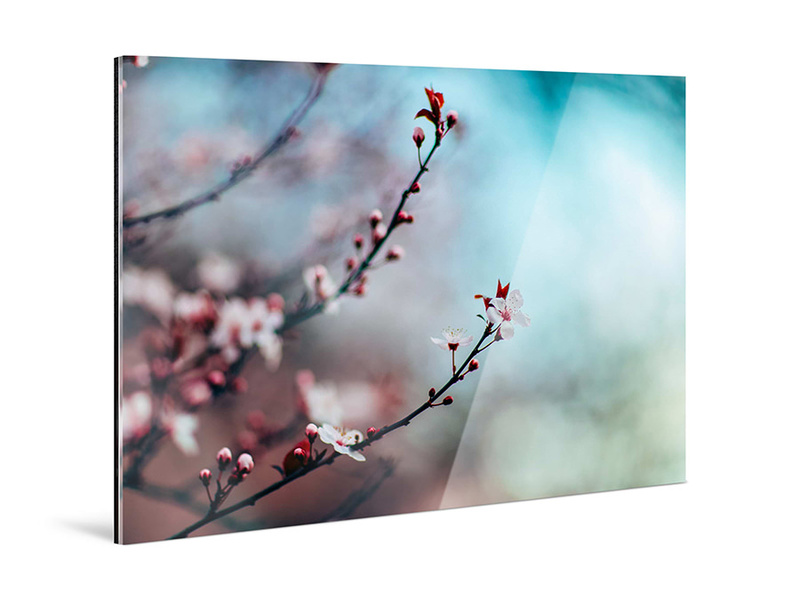 We gladly accepted the challenge of seeking out a cost-efficient alternative for our popular premium product, the Original Photo Print Under Acrylic Glass. By developing the starter product, the Acrylic Photo Print, we offer customers excellent mounting with fewer advanced options, while still meeting the WhiteWall quality standards and offers the same options in terms of framing. The advantages of this product are impossible to miss. You may already know them from other acrylic products such as the Original Photo Print Under Acrylic Glass and Acrylic Glass Stand, and they are preserved through the materials used here: modern developing techniques using brand-name paper, sturdy aluminium Dibond backing, a durable silicone seal, and crystal clear acrylic glass. Birthdays, anniversaries, weddings, Valentine’s Day, Mother’s Day, etc – for every occasion and budget, WhiteWall offers first-class acrylic glass products for your family, friends, or customers. No matter which variation you select, you always get a personal gift of premium quality. To do justice to your diverse gift ideas, WhiteWall gives you a large number of options: photographic prints mounted under glossy or matte acrylic glass, acrylic blocks, and various acrylic glass stands. And don’t forget about yourself! Find what you’re looking for in our wide range of products. Make your memories into a lively and colorful acrylic print or turn your favourite picture into unforgettable wall art.